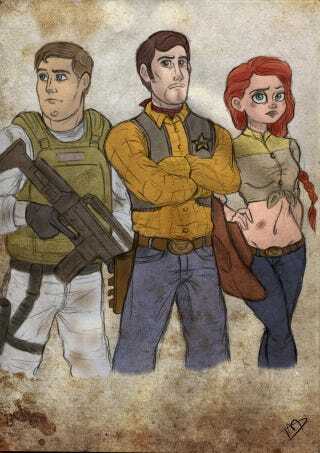 I'm all aboard with reworking every single Disney movie into a post apocalyptic zombie nightmare. But why was it necessary to show much princess skin? That's just not safe — covering up is basic zombie survival 101, guys. Thanks to Geekologie, we are now aware of Deviant Artist Kasami Sensei's "Walking Disney" collection. It's ridiculous and great, all at once. But more importantly, it only makes me want a Walking Dead Robin Hood Furry line now, right now. Lori can be Sir Hiss. Also how great is the Toy Story one? Dammit it just works.